and Jim Ladd on CBS. 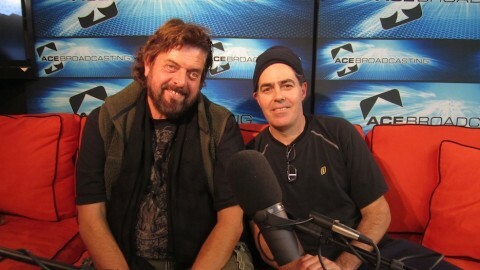 Alan Parsons and the Keyfax production crew were equally blown away by James when he was filmed at Expression College in 2008 for the Recording Vocals section of ASSR. Then only 19, James’ drive, power, and musical insight were all too evident as he and Alan worked on recording a lead vocal and backing vocals on the AP track We Play The Game from A Valid Path. "James had it all going on even then," says producer Julian Colbeck. "He auditioned for Idol that year but didn’t make it through. He’s got a great chance this season. I don’t think I’ve ever seen a young singer more committed and more focused than James. He’s one of those ‘failure is not an option’ type of guys." "I was every bit as impressed with James Durbin's singing abilities when we recorded him in 2008 for our Art And Science Of Sound DVD series as the American Idol judges clearly were on the most recent auditions. If there is any justice he will take it all the way to the finals and I wish him every success - he clearly deserves it," commented Alan Parsons. The whole ASSR production team will be rooting for this hugely talented singer as he enters the final stages of American Idol. Check out this clip of James in the Recording Vocals Section.